(VIDEO) HRH Crown Princess Mary of Denmark Attends the Opening of a Conference. On the morning of Monday, September 12, 2016, Her Royal Highness Crown Princess Mary of Denmark attended the opening of the 66th Session of World Health Organization Regional Committee for Europe in Copenhagen, Denmark. 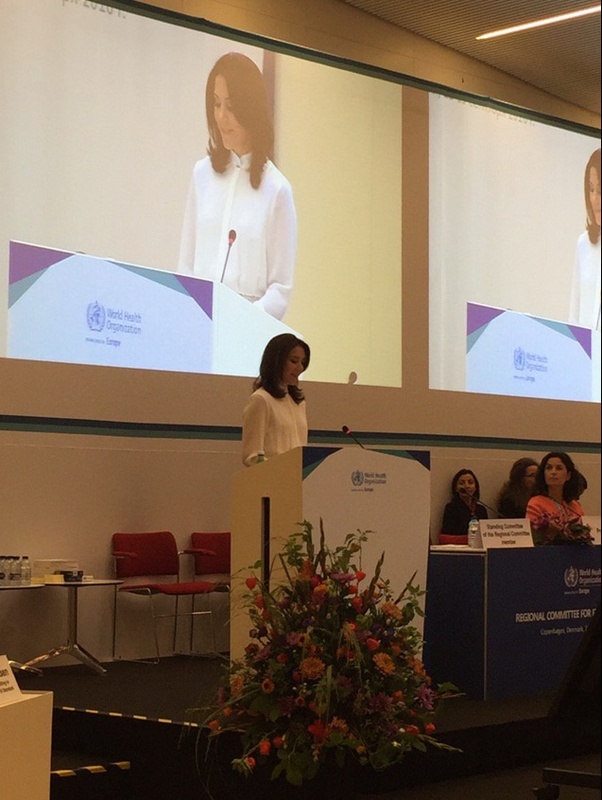 As patron of the World Health Organization Regional Committee for Europe the crown princess gave a speech during today’s event where “…discussions [focused on] health promotion through the life-course and WHO reform…” according to a press release.